Cat Hurdles - Jill Ruth & Co. It was a quick decision for which photo I would chose for Scene and Story with Sarah this month. As I previewed the photos we took, I laughed. "Cat Hurdles!" and the girls giggled. "Hey, let's see if I can get you two while jumping in the air. Run across the cement and jump as high as you can." "Yeah, but do it again. I need to change my settings." "Now, again and run the other way." "CAT get out of there!" "Again and try to jump right there about by the crack." "Just keep going back and forth so I can get a better one." I did finally get one with both of them mostly in the air. Sans the cat. This is such fun! Both shots are great and the cat got fed up with the incessant "shutter click" repetitions! Adore! And what a great memory you have created here. 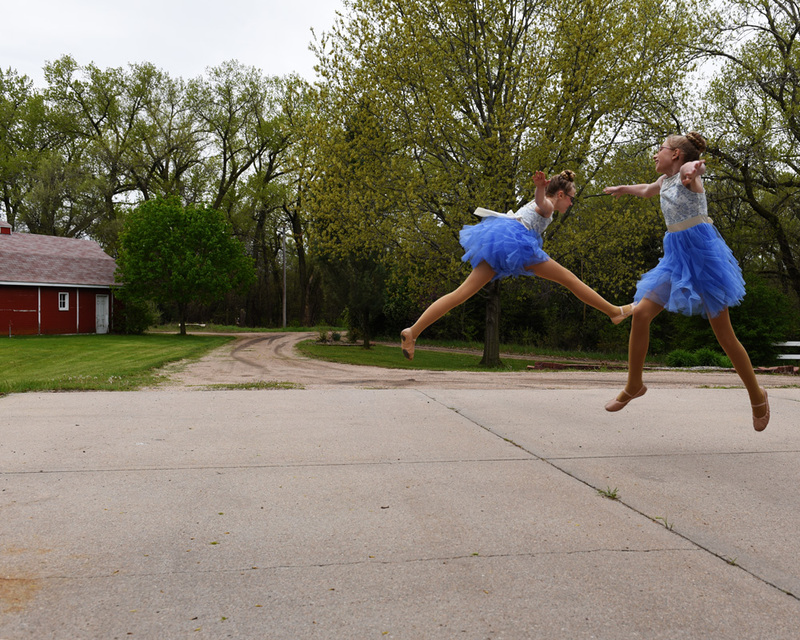 Helps to have ballerinas jumping for you. Such a fun shot of the "cat hurdles" and the girls look like they are having a lot of fun! Beautiful shot! LOL!! That was fun. thanks! P.S. Thank the girls too. And maybe a little ear scratch for the cat. What fun! Your girls can certainly leap! Your girls are so light on their feet they look like they're about to fly! The photo-bombing cat is the perfect touch. You had me laughing out loud this morning. Thanks for joining Scene & Story this month. I love the dialogue for the photo shoot. Such fun.